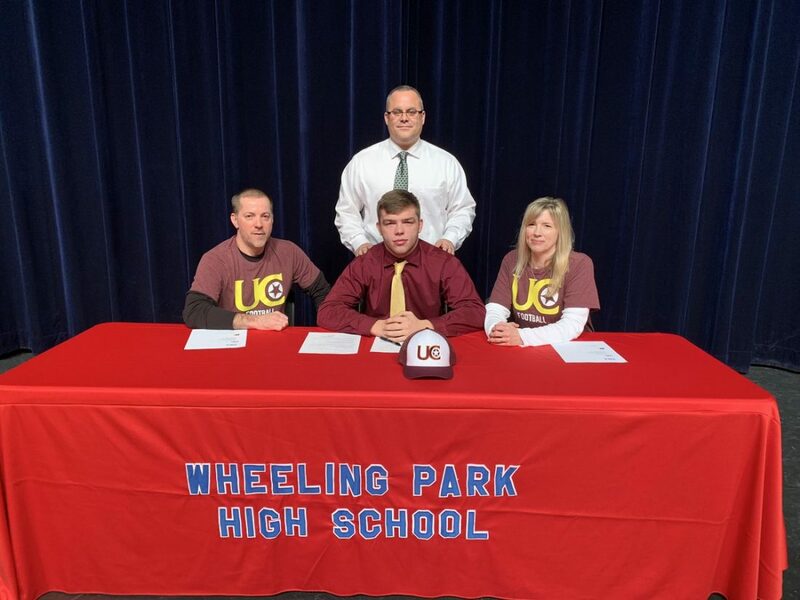 Wheeling Park standout lineman Dylan Wood recently signed his letter of intent to continue his academic and athletic careers at the University of Charleston. Wood was a three-year starter and was lauded with plenty of accolades for his time with the Patriots. 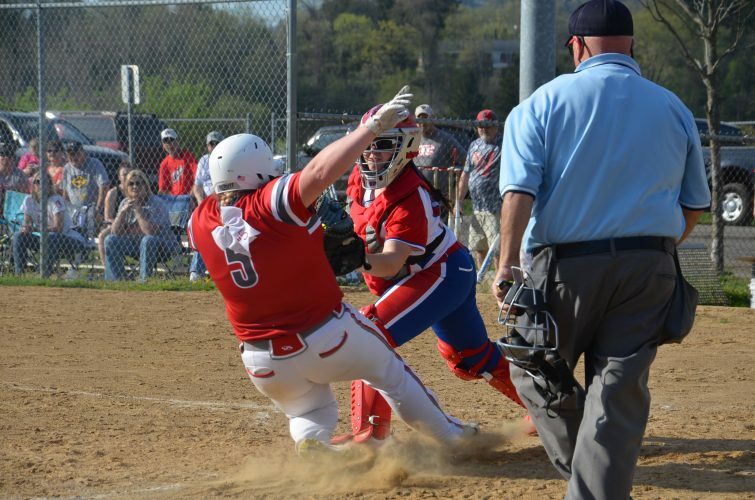 Wood was a two-time all-state honorable mention, first team All-TRAC and two-time WTOV 9 Defensive Blocks of Granite nominee. 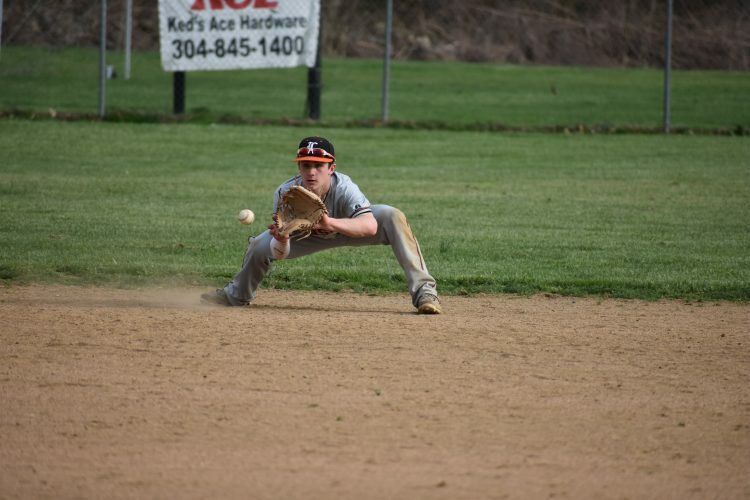 He was also named All-Valley in two sports, football and wrestling. As a wrestler, Wood this season earned his 100th victory while being a three-time state and OVAC placer and first in the regional in his junior and senior seasons. Wood is flanked by his mother, Kelly, and father, Brent. Standing in back is Wheeling Park football coach Chris Daugherty.